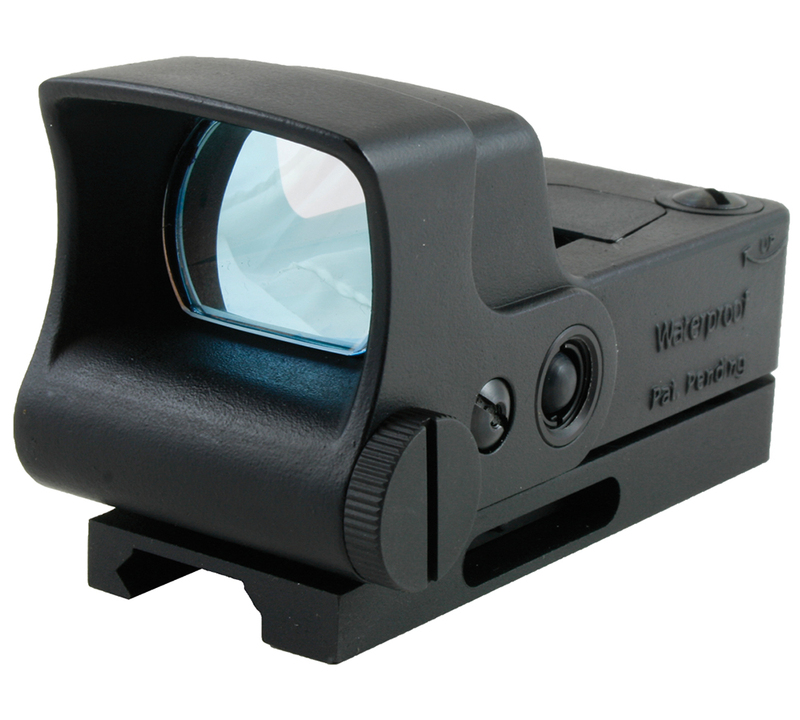 The AimShot HGPro reflex sight is the pinnacle of reflex sight technology. This unit is built to military specs yet it remains affordable. the HGPro is waterproof to 30 meters. Its integrated rail mount features a quick release lever for easy installation and removal on any picatinny or weaver rail system. The HGPro is available with different reticles to best suit your needs. The HGPro provides full windage and elevation adjustments and nine levels of brightness adjustment.